Savvy marketing professionals understand the importance of generating brand interest and awareness among college students. In creating buzz—and ultimately traction—within this demographic, marketers are relying on distinctive and thoughtfully designed promotional products that students truly embrace. At Karst, we believe promotional products are incredibly effective marketing assets, which is why we carefully consider the ways in which people (in this case college students) interact with a brand and how they will use our designs. When collaborating with clients to create promotional products targeting college students, we put ourselves in their shoes. What is useful? What is fun? What is unique? What is trending? Portable chargers: What is the favorite accessory among college students? Their cell phone. Portable cell phone chargers are a no-fail option when it comes to promotional products. This practical idea will appeal to students across campuses nationwide. Hand fans: You don’t need to put a dent in the bank account creating fun, unique promotional products. Hand fans are an affordable option that can be customized and tailored to students. Some of our favorite college hand fans have featured school mascots, standout athletes, and even favorite deans. Don’t forget your favorite emoji! Not a fan of the fan- let’s cut out the eyes a bit, add an elastic, and whala – fan masks! 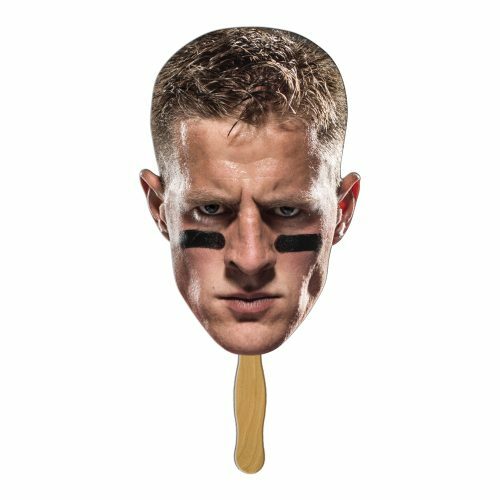 Just add co-sponsors, coupons and other marketing to the back and a hashtag campaign is perfect for the stick. Have a dual personality in the midst? Print different images on both sides. 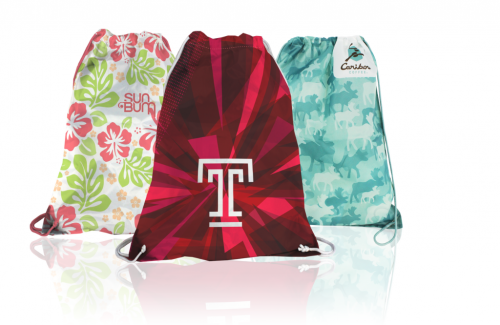 Drawstring backpacks: Completely customizable, affordable, and in high demand, drawstring backpacks continue to be one of our best-selling college promotional products. Students love the versatility and practicality they offer. From integrated earbud loops to fully custom designs like below – these are no longer just for the younger kids. Focus on a great looking design or dual use bags and you’re sure to have a winner. 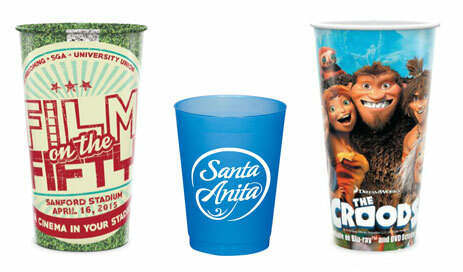 Stadium cups: One of the most used and versatile event promotions is cups! Incorporating team graphics, game schedules, mascots and logos makes these a fan favorite and a no brainer for co-branding. We encourage clients to spend a little extra to create a higher-quality promotional product—longevity of the product pays for itself over time. 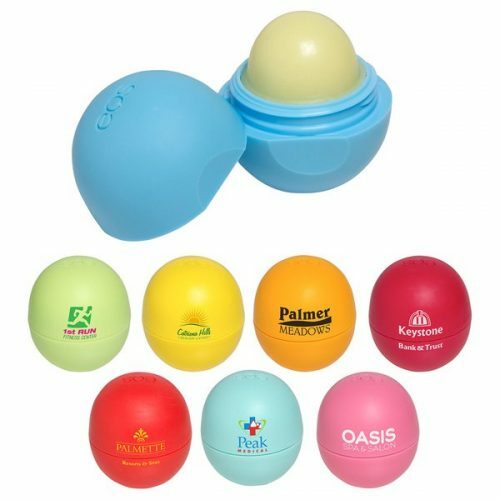 EOS lip balm: To create promo merch college students love, we pay attention to trends. We’ve watched EOS lip balm take hold of campuses and have used these compact, useful promos as a canvas for logos and social campaigns. It’s a stylish, affordable option for students. When designing promotional marketing merchandise & collateral for college students, we often begin by considering how he or she will use what we’ll create. We then work with our clients to understand their needs, budget, and timeline. We may be designers, but we are humans first, which is why our comprehensive approach yields products college students truly love, that represent your in the best light. Your company can stand out with this engaged & fun demographic – let’s do it!